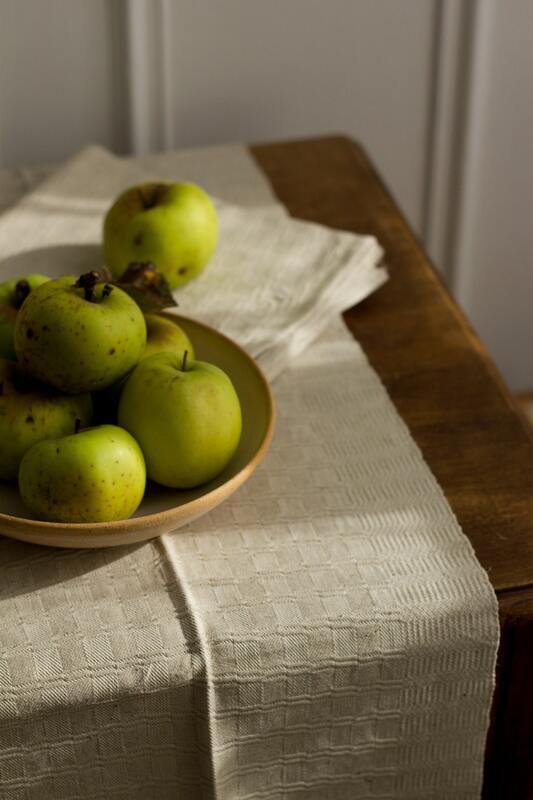 A beautiful, unique take on the classic twill stripe weave on these vintage unbleached linen and cotton French kitchen towels. 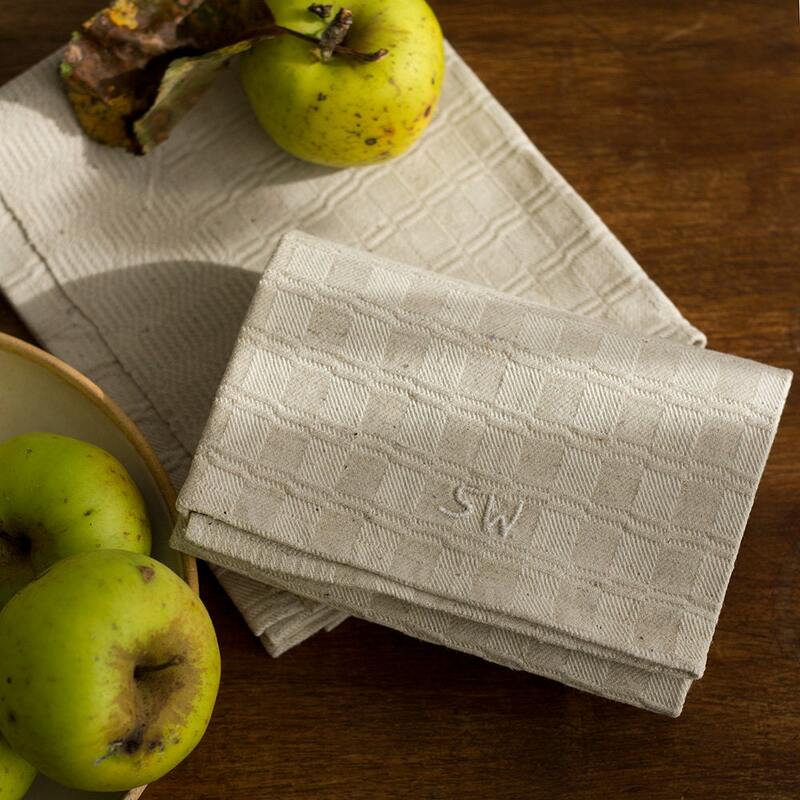 Endlessly useful and durable in the kitchen, they would be just as beautiful on a tabletop or as hand towels in the powder room. 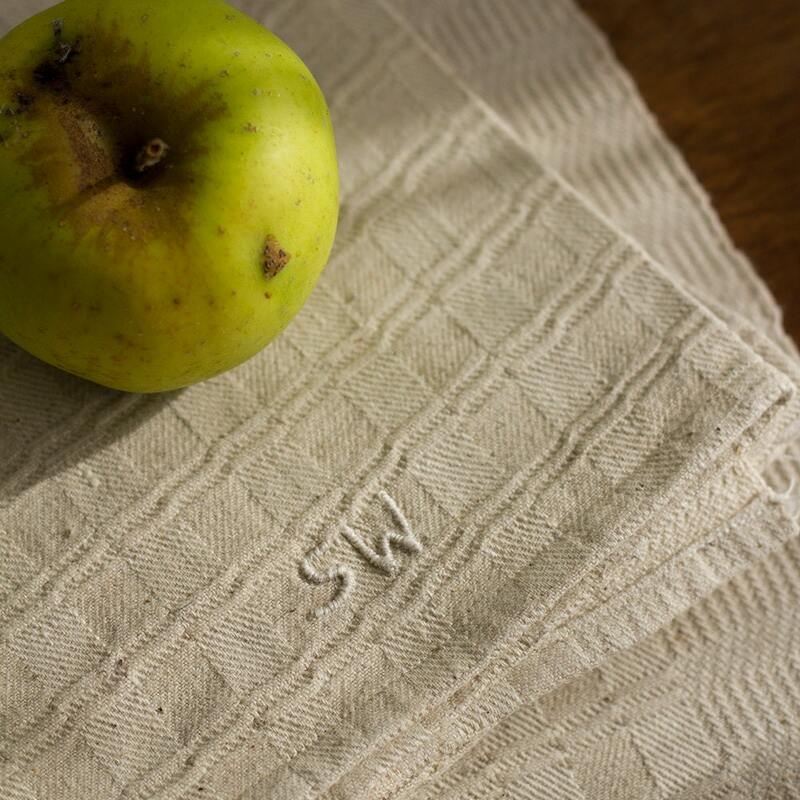 Each is embroidered with 'SW' and feature a contrasting band on the sides. 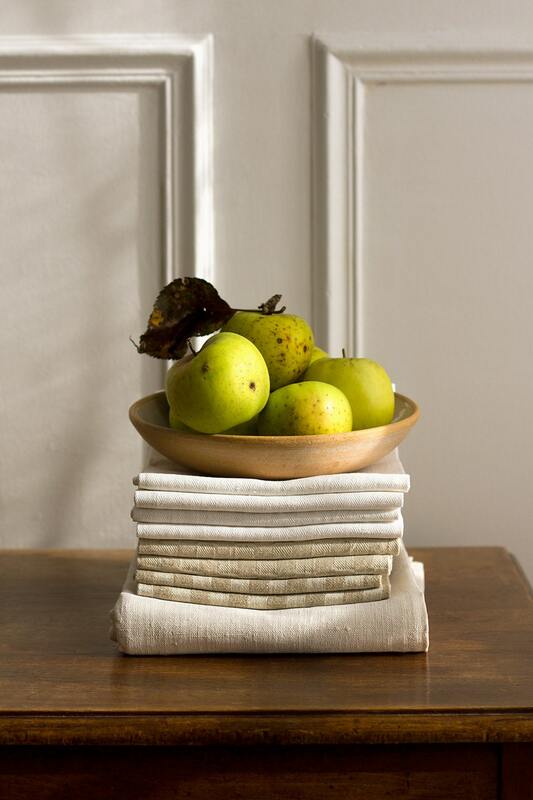 As with all vintage French kitchen towels, a twill tape hanging loop has been sown onto one side. Listing is for one towel. 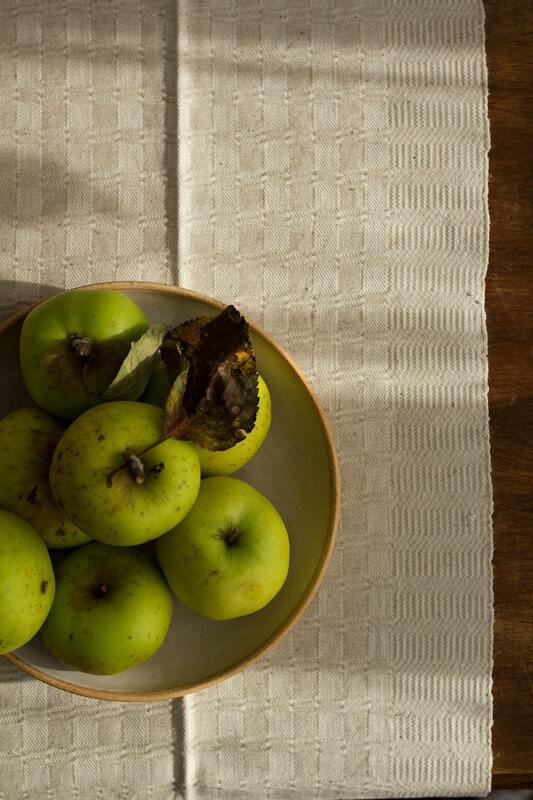 These towels have been washed with a gentle, perfume-free laundry soap. These pieces wear their history like all vintage pieces which only adds to their story. These towels are in immaculate condition with no staining or tears.